and her website is listed on the sidebar of this blog. I took notes at one of Dr. Stevens lectures, and as a way of reintroducing you to her, I am sharing these notes to give you an opportunity to look at her insights and research into the importance of creativity and the Arts in Education. Victoria Stevens, Ph.D. is a licensed clinical psychologist and educator who works both nationally and internationally. Her research specialty is the study of the development and inhibition of creativity in children and adults, with an emphasis on the relationship between creative thinking, neurobiology, emotional development and cognitive processes. She has taught pre-K-12th grade in public and private schools in Los Angeles County and has integrated her experience as a professional cellist, singer, actress and dancer with her expertise in psychology and pedagogical theory to develop innovative art education curricula, teacher training programs and training's for mentors who work with foster children. Dr. Stevens is the principal investigator on a recently completed study for the Museum of Contemporary Art in Los Angeles on the relationship between exposure and training in contemporary visual art and creative thinking and meta-cognition in elementary school students. She is a faculty member at: California Institute of the Arts, School of Critical Studies and the Santa Barbara Graduate Institute for Infant and Child Development. She also is on the Board of Directors of the California Alliance for Art Education. Dr. Stevens talked about the most current research on the brain, and how it is reshaping our understanding of learning. Research in neuroscience suggests that the arts have a significant impact on students' cognitive, social, and emotional development. Recent developments in neuroimaging technologies have added an important dimension to our knowledge, by allowing scientists to observe how various processing systems in the brain collaborate. Not only do the arts have inherent value, but these new technologies demonstrate a significant link between artistic and cognitive development. Dr. Stevens stressed the significance of right-brain development on left-brain learning, and how the relationship between the two hemispheres is much more complex than was previously thought. Dr. Stevens talked about how a former emphasis on gray matter has shifted, and it is now "white matter" that has become the focus of attention. This "white matter" refers to the connectivity between all of the brain, the myelin sheathing of nerve endings that speeds the communication between brain cells. This white matter, which predominates in the "corpus callosum", (the part of the brain that connects the two hemispheres) enables more rapid communication between the two hemispheres of the brain. 1. Lack of adaptability to change can result in rigidity, lack of ability to learn from experience, and the lack of ability to adjust one's skills and thinking to new developments. 3. Lack of tolerance for frustration and delayed gratification, as well as lack of impulse control can lead to anxiety, stress, addictions, difficulty mastering concepts and skills in school, and at worst - violence. 4. Lack of connection with emotions or "emotional illiteracy" can lead to school drop-outs, delinquency, crime or violence on one extreme, and stagnation, mechanistic repetition and apathy on the other. Dr. Stevens work with student criminal populations has led her to the understanding that the way to effect permanent change in these children who have suffered child abuse, abandonment, and neglect, is through the arts. She bases this understanding on the fact that the right brain is the part of the brain that is most malleable and open to change. 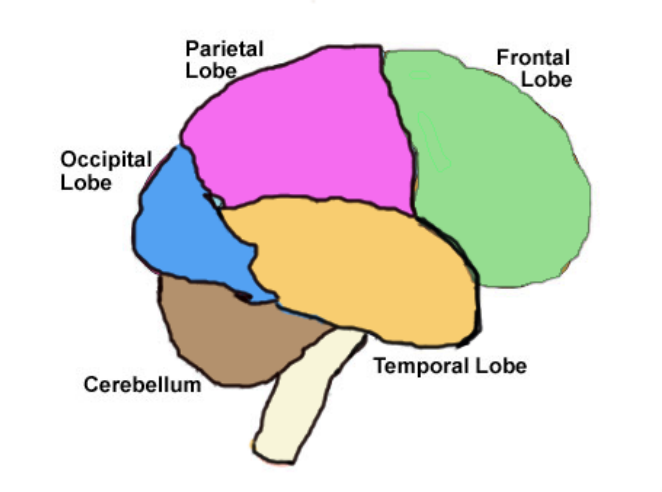 It, and the limbic system - the emotional part of the brain, are also the parts of the brain that stimulate learning. By involvement in the arts, Dr. Stevens states that students can develop: the capacity for mental and emotional play, the ability to make connections between ideas, feelings or events, metaphoric and analogical thinking, and the ability to give form to feelings through symbolic representations. Participation in the arts also helps students develop imagination, a sense of self and world, empathy, the capacity for emotional attunement to other's emotional states, and emotional self-regulation. Arts training also develops the capacity for toleration of frustration and ambiguity, impulse control, taking risks and learning from "mistakes", letting go of an initial way of thinking to explore new possibilities, seeing similarities and differences in the same object, seeing whole and parts, transferring understanding of basic concepts from one form to another, finding, making, and recognizing patterns. Dr. Stevens is an astonishing speaker, having in-depth knowledge of so many fields of inquiry, yet being able to bring them together into a unified whole. It is however, as a practicing educator that her skills are most valuable to us in education. How to bring together the vast amount of theoretical knowledge that is available into the classroom is her passion and her purpose for presenting at this forum. She is currently writing a book on the arts and higher-order thinking based on her current research.